A little yarn about just looking at specious statistics. And this is often a mistake. In a very real sense, the Internet has changed nothing. People will always try to game the system, whether that’s with Twitter followers, Spotify listens, or Facebook likes. 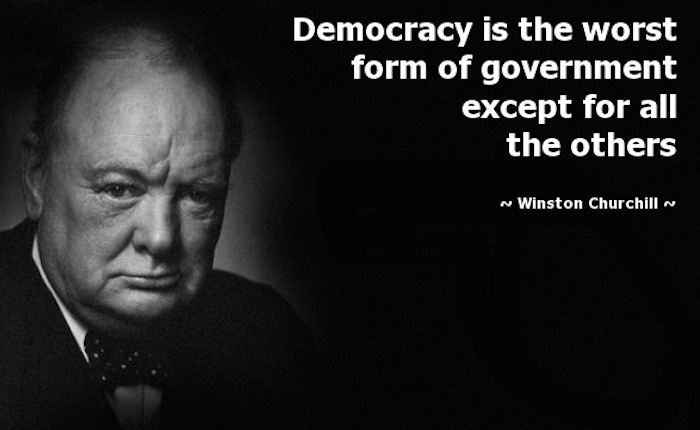 Churchill’s quote above on democracy is equally apropos to capitalism. It simultaneously represents both the best and worst that we can do. The fleas come with the dog. As I’ll explain below, relying on these numbers is often both foolish and even destructive. Let’s call him Terry here, a nod to Ocean’s Eleven. Terry’s bona fides look good on a superficial level. He sports more than 50,000 Twitter followers and a Klout score north of 70. Primarily because of this, a Fortune 50 company a while back paid him to attend a major event. It was easy money: Terry only had sit on a panel and blog and tweet a few musings about the conference. Did things go according to plan? Of course not. It turns out that Terry likes drama and caused quite the ruckus. He got into it with a few others on the panel and then took his rant to Twitter, packing an extraordinary amount of vitriol into 140 or fewer characters. He expressed his displeasure at being a “puppet” for tech companies and, stuffing salt in the wound, made sure to include the event’s hashtag. Did I mention that he was paid to attend this event? The point of this little yarn is that social-media numbers often tell at best an incomplete story. More Twitter followers doesn’t mean a hill of beans. Not bad. Ninety-five percent of my followers are real. In the past, I have used tools like ManageFlitter to purge undesirable accounts from my official numbers. For my money, quality trumps quantity every time. Period. Poseurs are usually exposed eventually.